What is this unusual belt buckle? Belts and Buckles Forum This forum is dedicated to the specialized world of belts and belt buckle collecting. I recently picked up a collection of WWII German items, including numerous buckles. In the load was this buckle, which I have never seen before. I didn't have any luck finding it online either. Can someone give me some ID info? Thanks! 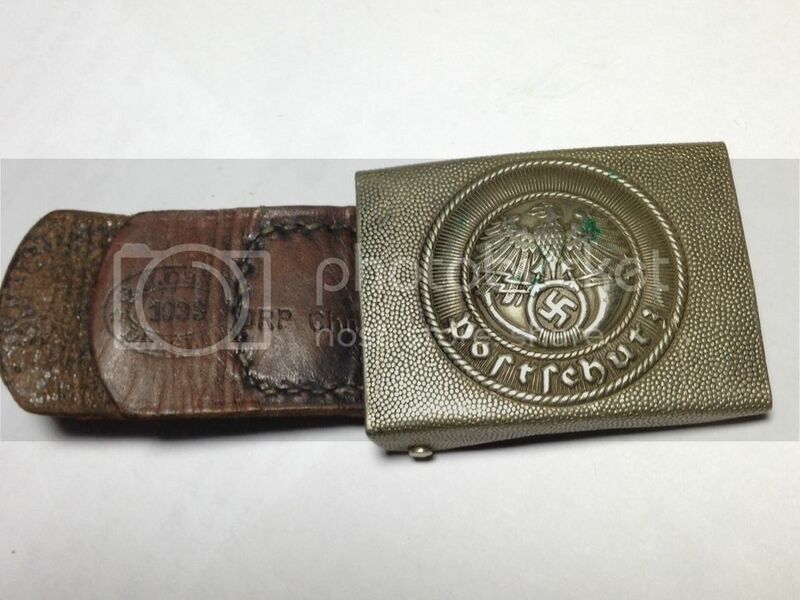 this a good postal police buckle (POSTSCHUTZ) with beautiful drp mark on the leather, more desirable and rare! Agreed! It's very nice. Good find. Someone might be able to decipher that DRP mark. Would the DRP code be for Chemnitz? You are spot on Belten.